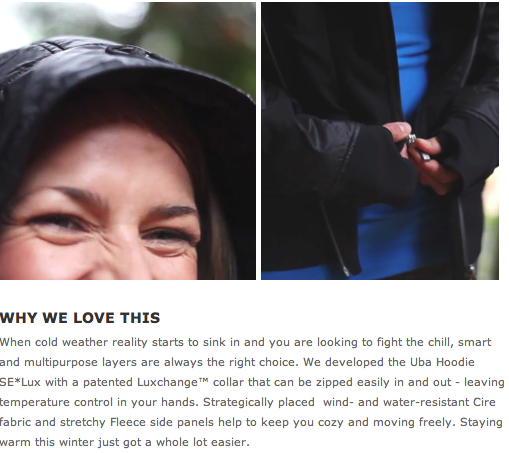 A new Lululemon Blog glimpse of an upcoming item – the Special Edition Uba Hoodie *Lux. I shutter to wonder what the price may be since the first Uba Hoodie was priced at $178. This is a cute idea though, a Scuba Hoodie shaped jacket.